Blast freezing and refrigeration of meat benefits from energy efficient cooling. Coolflow process cooling fluids are industry proven to increase productivity, reduce maintenance and lower operating costs. Managing cooling and heating fluids is important if process efficiency is to be optimised and operating costs minimised. Hydratech provide a range of fluid management services to maximise thermal efficiency, minimise downtime and extend component life. E.g. A pro-active fluid monitoring and treatment program is a simple yet effective means of identifying and correcting any minor issues, before they become major problems. 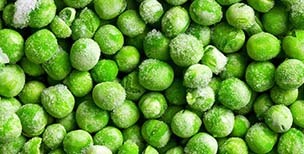 Rapid fruit & vegetable freezing and chilling benefit from energy efficient cooling. Coolflow process cooling fluids are widely used in postharvest agriculture and proven to increase productivity, reduce maintenance and lower operating costs.